My friend and fellow blogger, Megan Gilmore, from the popular blog Detoxinista just launched her first cookbook this week, Everyday Detox: 100 Easy Recipes to Remove Toxins, Promote Gut Health, and Lose Weight Naturally. I was lucky to be able to review this cookbook before it went to print and I’ve been eagerly anticipating the hard copy on my doorstep. Just like on her blog, the recipes in her debut cookbook are unfussy, whole foods based, and feature short ingredient lists. I’ve been a fan of Megan’s for years and I’ve always admired her ability to take a handful of simple, whole foods ingredients and turn them into something practical for everyday life. While Megan doesn’t ascribe to any particular dietary label, she creates many vegan, paleo, vegetarian, and gluten-free recipes. About 75% of the recipes in Everyday Detox are vegan or can be made vegan by swapping out the sweetener or leaving out the cheese. All of the recipes are gluten-free. There are around 50 gorgeous photos shot by Nicole Franzen. 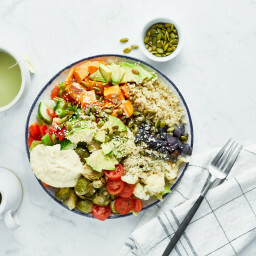 The book’s chapters include: 1) An easy approach to detoxing; 2) stocking your detox-friendly kitchen; 3) liquid nourishment; 4) morning favorites; 5) salads, dressings & sides; 6) soups, sandwiches & wraps; 7) casseroles & comfort foods; 8) sweet treats; and 9) back to basics. Detox-based cookbooks tend to make me think of hard-core fad diets and cleanses, but thankfully Megan’s approach is much less drastic. She encourages you to practice daily healthy habits and believes in eating whole foods (ie., unprocessed, refined-sugar free, chemical additive free) on a day to day basis – making a lifestyle change – rather than teetering on the extremes and cyclic nature of dieting. Megan doesn’t believe in calorie counting because she says it “doesn’t take into account the quality of foods we’re consuming nor the body’s ability to digest natural foods versus processed ones.” Instead of looking at the calorie count on a label, she says to ask yourself a few questions: Where does the food come from? Is it in its natural state? How many ingredients does it contain and do you recognize those ingredients? Better yet, she says, select foods with no label at all. I love that last tip. 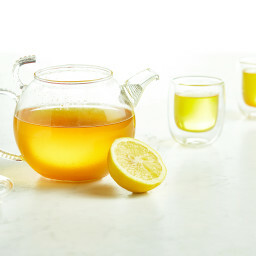 The recipes in Everyday Detox are also based on the principles of food-combining and how food-combining can impact digestion (which is something I admit that I’m not overly motivated to follow), but whether you want to learn more about food-combining or not, the recipes can be enjoyed simply because they are healthful and delicious. Today, I’m happy to share a recipe from her cookbook for all of the almond butter lovers out there! I couldn’t help myself and added a homemade chocolate topping and Maldon sea salt flakes. It was a hit with our friends! 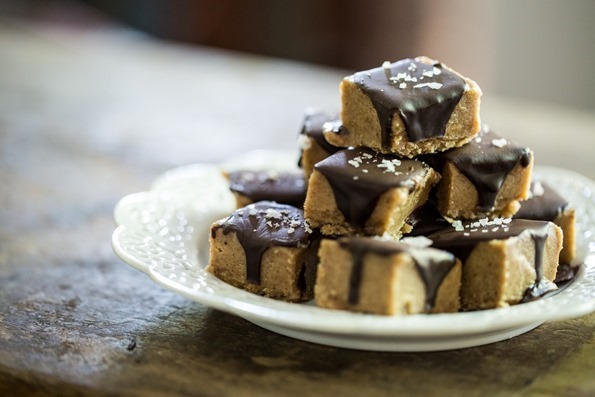 This almond butter fudge is lightly adapted and shared with permission from Everyday Detox (2015) by Megan Gilmore. I also threw on a homemade chocolate coating for a snappy burst of chocolate in each piece, and a garnish of flaked sea salt. Be sure to keep this fudge in the freezer because it melts at room temperature. Lightly grease a standard size loaf pan (9"x5") and line with a piece of parchment paper cut to fit the length of the pan. For the fudge: Spoon the almond butter into a large mixing bowl. In a small pot, add the coconut oil, maple syrup, and salt (only the fudge ingredients here). Heat over low, until the oil is melted. Slowly pour the wet mixture into the bowl with the almond butter, stirring as you go. Stir until completely smooth and combined. It'll be quite runny at this stage. With a spatula, spoon the almond butter mixture into the prepared pan. Smooth out. Place the pan, uncovered, on a flat surface in the freezer. Freeze for around 1 hour, or until the fudge is solid. For the chocolate topping: In a small pot, add the oil and melt the oil over low heat. Remove from heat and whisk in the maple syrup, cocoa powder, and salt until smooth. I like to place the chocolate sauce in the fridge for several minutes until thickened slightly. 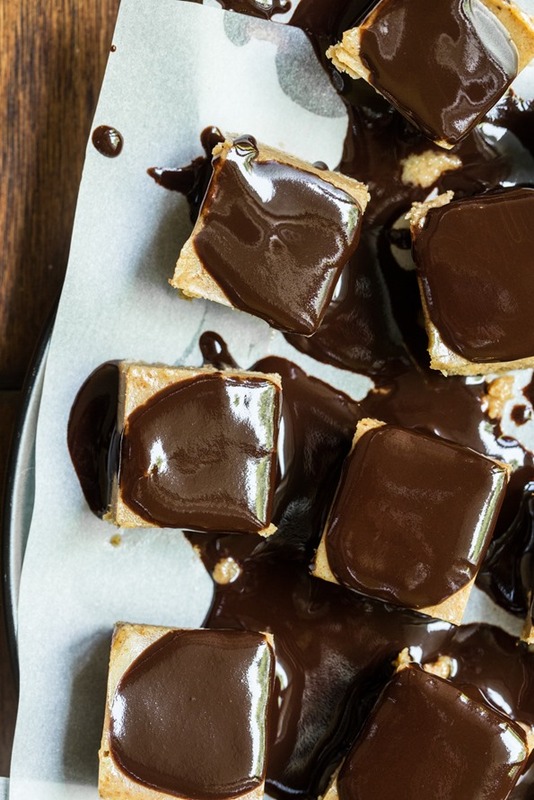 Slice the frozen slab of fudge into about 21 (1-inch) squares and place on a large plate lined with parchment paper, about a half-inch between each piece. Spoon the chocolate sauce on top of each square (a scant 1 teaspoon per square). Place back in the freezer until the chocolate is solid. Sprinkle on some flaked sea salt, if desired. Break apart the squares of fudge (if the chocolate pooled at the bottom) and enjoy immediately. Return leftovers to the freezer. I also tried out the Strawberry Basil Blast smoothie a few times. I change it up a bit using half the avocado and lemon juice. It’s also good without the fresh basil (I don’t always have it handy because I love to kill me a basil plant), but I do recommend trying the basil version first. I’ve made a cherry-basil combo in the past and it really is awesome in a smoothie! This smoothie will be on heavy rotation throughout the summer. Some other recipes on my must-try list include: Raw Falafel Wraps, Enchilada Stuffed Cabbage Rolls, and “Beef” and Broccoli. 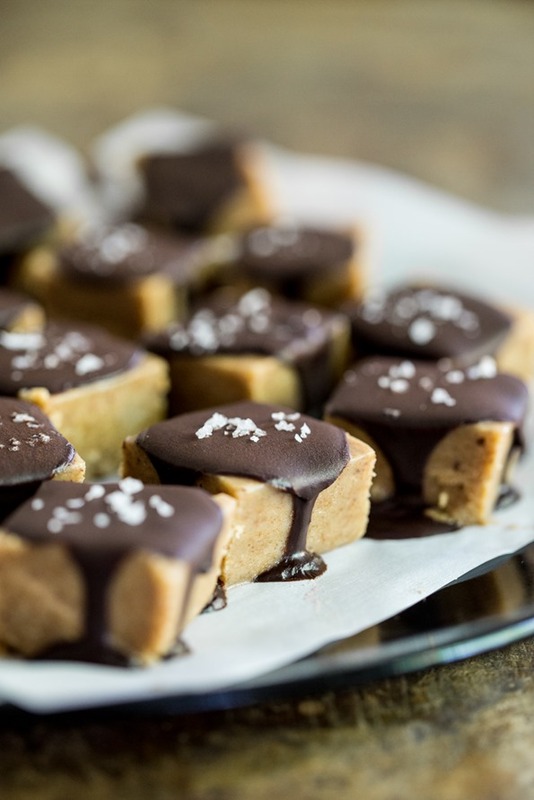 Thanks to Megan for letting me share this almond butter fudge recipe today. Be sure to check out Everyday Detox which is hot off the press this week! Hi Angela! I love Megan’s blog too and the fact that she definitely tries her recipes a gizzillion times because they actually work for me. I can’t wait to try that strawberry basil blast smoothie!!! Basil is my favorite. Sorry you kill your plant, have a ton of basil here and would love to share with you (or anyone who reads your blog). Sharing is caring!!! I agree, Laura! I LOVE & would love some of your basil, too! Oh man, this sounds like the perfect snack!! Love this! Sounds delicious! Your additions took this fudge to a whole new level. Megan is such an inspiration, I can’t wait to check out her book. I’m a big fan of your recipes so if you’re a fan, they must be good!! That looks so yummy. I am going to have to make that. Yum yum yum! 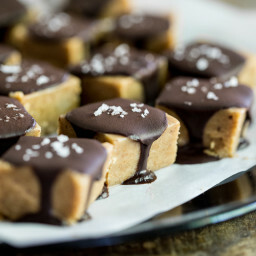 I’m definitely making this fudge this weekend! What a great idea! 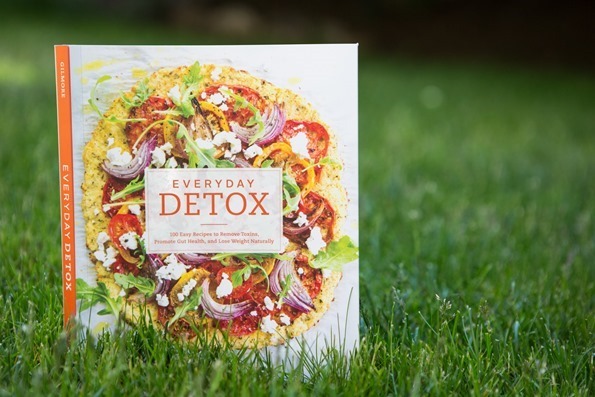 The “Everyday Detox” cookbook sounds wonderful – I’ll have to check it out, too! These look amazing! Plus, a friend of mine just came back from Canada with some maple syrup with my name on it…now I know what I’ll make first! I was vegan for a couple of years, and I used to eat desserts like this all. the. time. I definitely have a sweet spot for them now. It is just amazing to me that mixing coconut oil with something and fridging it creates fudge. Thanks for the yummy looking recipe! «because I love to kill me a basil plant» LOL!!!!! Super delicious. The chocolate coating is a must though! 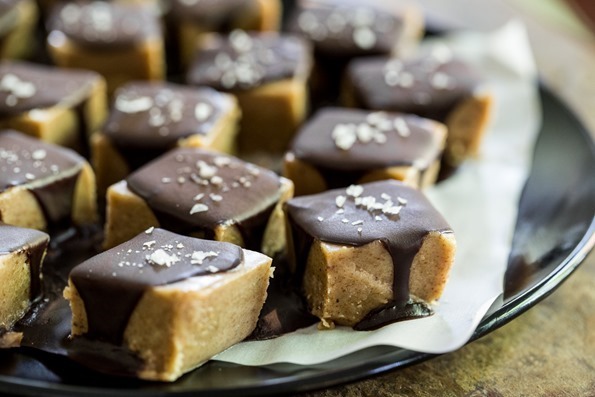 IDK, these freezer fudge bites could be a diet wrecker! This fudge looks to die for! And the chocolate topping probably makes it even more delicious. Thank you for sharing the recipe with us!! Wow these look insane! I’m sure it would make an amazing gift too! Now this is my kinda dessert! I love Megan and all her recipes so I am excited to grab ahold of her book! As ever always really interesting, fun and yummy to read your words – thanks. Also want want to commend you on your support of other food bloggers / cook book writers, and for pointing us ‘good choice foodies’ in their direction. These look and sound absolutely amazing. Once I buy some almond butter, I am definitely going to make these as they are perfect for a little snack/treat. How I love fudge! 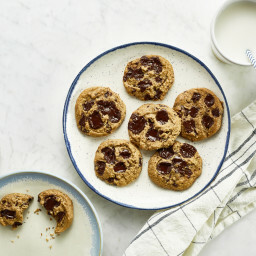 And the addition of the chocolate and salt flakes make this irresistible. I’m always on the lookout for new cookbooks, so thanks for sharing Megan’s detox book. Detoxing is starting to get a bad rap, but with people like Megan showing how it do it simply and easily, anyone can benefit from detoxing without being extreme. Came here to find the double layer frozen brownies… Found this and made them instead. And omg… So good. The salty. The sweet. The texture. Soooo good. 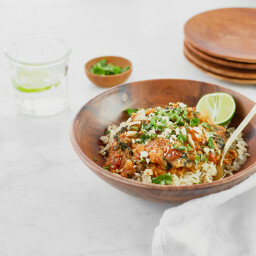 A new favorite for sure. .
You’re a household name around here and I just adore your recipes! Just wanted to say hi and I hope to comment more now that we’ve officially entered the blogging world. Concerts on your book! I left an Amazon review days after it published. Totally preordered! Hope you’re doing well with the little one! Our youngest is 4 months old! I made these tonight. They were very easy to make, and they taste amazing! Love you and love Megan’s blog too, one of my favorites! Fudge looks fabulous, can’t wait to get the book to try other goodies! These taste wonderful, and they’re the perfect summer treat to keep in the freezer. Awesome find! These look fabulous. Salt, chocolate, and almond butter. Already a winner in my book! These look fabulous! Salt, chocolate, and almond butter. Already a winner in my book! Ahh these look so delicious! The salty almond butter combined with dark chocolate is absolutely irresistible. I also love that they’re frozen, I find that the cold adds a unique texture/flavor. This looks amazing. I always have almond butter on hand bc I am obsessed with it and make it at home so I never run out. Now I can have it in fudge form! Also, I LOVE basil. I used to make a chocolate blueberry basil smoothie every morning last summer. It is one of my favorite smells in spring/summer. Do you think this would work with natural peanut butter? I always have it on hand and rarely have almond butter, for whatever reason! This looks delicious!!!! Yum, these looks fantastic! They would wouldn’t last long in my house! I usually like a sweet bite after dinner, and this is perfect, since it stays in the freezer. I was out of almond butter, but made my own by processing whole, roasted/salted almonds in the food processor (did not add additional salt to this layer). I’m going to enjoy these with some toasted coconut on top. A winner! I think I might like it even better with peanut butter, which I’ll try next time! I only reduced the salt a bit, as we Europeans are not used to the salty fudge ;-) and I didn’t have time to do the chocolate topping, but will definitely try it. it looks always so good!! I made a batch of this for the teachers for Staff Appreciation Lunch at my daughter’s school. Turned out super yummy & the vegan staffers especially appreciated it! The fudge did get a little soft when left out for a while at room temperature, but turns out, when you spread that soft fudge on an apple it’s like a whole other dessert! Score! So easy & decadent. You only need a little piece! Wow.. fudge is looking so yummy. thank you for the delicious recipe. These sound delicious and relatively easy, not to mention wholesome. Going to need to bring to the next party I go to! Thanks for sharing! I don’t generally bake or rather “make” any kind of sweets that require exact measurements because it never seems to turn out quite right for me. I dared to make these because they looked amazing and seemed easy enough. These turned out sooooo well and were soooo easy to make. I love that not baking is required and these are all ingredients that I already had except the cocoa powder ( I actually substituted carob powder and the results were great). I made them for a party and they were a huge hit, the guests couldn’t believe there was not dairy or refined sugar. Will definitely be making these again. My only qualm was that the glaze for the top didn’t have the consistency that it does in the pic, and I even tried refrigerating for a few minutes but that just seemed to make it too thick, I may have not mixed it well enough or it could have been that I used carob. 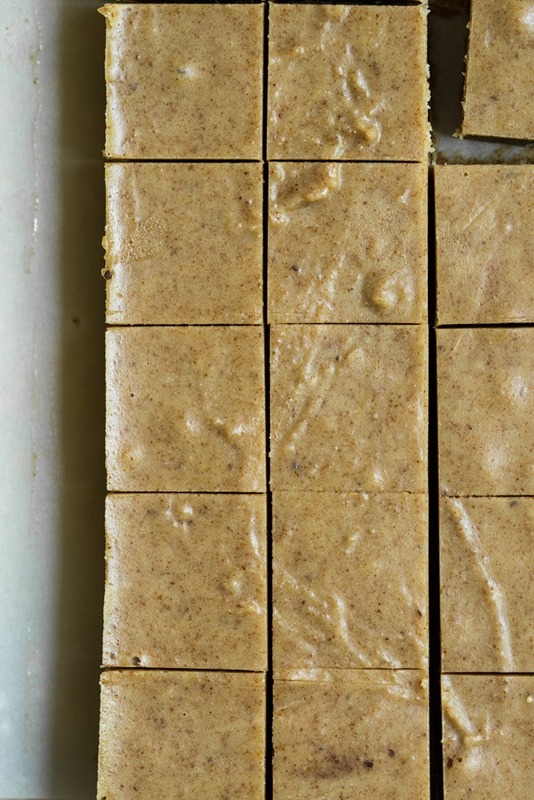 This almond butter fudge is to die for!! Just made this for one of my nutrition classes, it was a huge hit :-) Bonus that it’s so simple too! This is amazing!!! I need to try it! You never seen to amaze me! oh my word how totally amazing, Mouthwatering! I feel like I did something wrong here… Just attempted this dessert and it was all wrong. Too sweet and poor consistency. Any tips? You really can have your cake and eat it too! Im really looking forward to trying these out. Fudge that helps you detox? How is this possible? lol Thank you for sharing! I love this fudge so much that I’ve just made my second batch! I’m trying to cut out processed sugars, and this little treat has been just the thing to keep me on the right track. I wrap individual pieces of fudge in wax paper and then pull one out of the freezer when I want one. So easy and simple and so delicious. Thanks for the recipe especially for the addition of the chocolate! I am so glad I found this. I have to start an elimination diet this week and I was bemoaning my loss of sweets. I am able to have almonds, coconut and honey though so I will make a wee substitution and try this out. Thank you so much! Yummy. 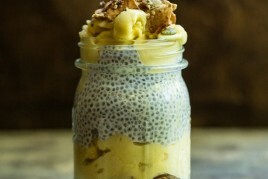 This looks so delicious and your recipe is straightforward and simple! Cannot wait to give these a go! 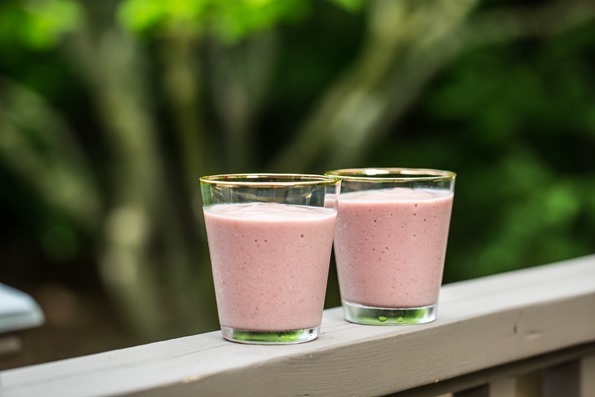 Cherry basil is a great combo so that smoothie sounds amazing! The bars look good for when you need a high-energy, high-calorie treat, maybe post work-out. Oh. My. Gosh. Could barely finish eating my piece of this before screaming to the world HOW GOOD THESE ARE. My boyfriend, who is always skeptical of any dessert made with almond butter, called them ‘scary good’ – success! My 14 year old cousin was just diagnosed with type 1 diabetes. Super sad I know!! I was thinking of making her a dessert for a family get together that would be friendly for her needs. If I made this recipe and used stevia instead of the maple syrup do you think it would turn out ok? If not do you have a recipe in mind that would be diabetic friendly and still make a 14 year old girl happy?? *faints* What an incredible treat – so easy and I bet it vanishes in mere moments. These look delish! Should I use refined coconut oil or unrefined? This recipe looks delicious! Would it work with peanut butter? Would and of the ingredient portions have to be adjusted? This looks incredibly delicious and addictive! Hi there – made these last night! Have to say, the flavor is amazing and they are incredibly easy! I did notice that they started to melt when removed from the freezer and left on the counter, even for just 10 minutes. Do you suggest decreasing the amount of coconut oil in the base layer? Yum! This looks super delicious, will have to try. Freezer fudge is my favourite. I always have some in my freezer. I will have to add this to my repertoire. Okay. For all you people saying how great this looks, make it. It is really quick and easy. I have easily made it four times and it is sooooo good. I’m heading in to make it again. Do it, you’ll be so happy you did. Just be careful, it’s hard to portion control this recipe. I just made this fudge and am waiting for it to freeze so I can try, it looks delish! Yum! Hope you like it, Jennifer. Thanks for the Bonus Recipe Bundle. I can’t wait to try the key lime pie recipe…I think I shall call it an un-dessert as it is too healthy to be dessert. I wish you the greatest success with your new book! PS I met you a few months ago in Whole Foods. 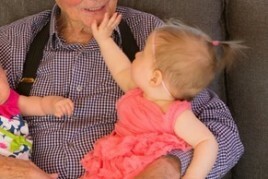 I was the Southerner cooing over your daughter. Hope production of the second is going smoothly! I’m having a really hard time with desserts (i’m not really a desserts person, but sometimes a girl needs a cookie!) 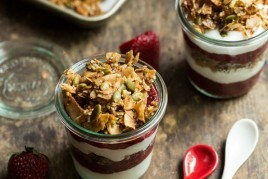 and this recipe is the perfect bite for when i’m craving something sweet! My fiancé also thanks you! So glad to hear it hits the spot, Alexis! I made this last night and it definitely took longer than an hour to freeze in my freezer, but it was HEAVENLY!! I just made these and they are deeeeelicious! It’s my first time making a vegan desser and it was a huge success! I did swap out coconut butter for the oil in the fudge and it turned out great. Make sure to only use oil though in the chocolate sauce. I tried with coconut butter and it was a disaster.